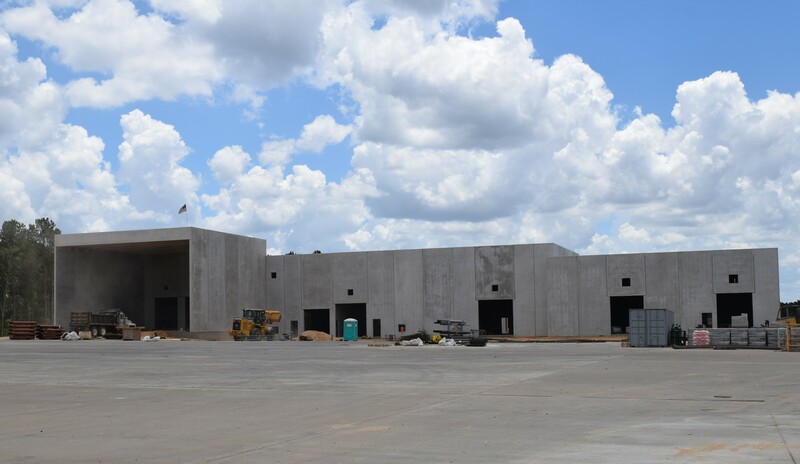 GRAPELAND – Construction on the Darling Ingredients plant on FM 227 is moving right along and the expectations for the plant to become operational are on track for a late 2018 or early 2019 opening. Mike Hudlow, Senior Vice-President of Engineering and Construction for Darling-North America, provided an update on the facility’s progress during a phone interview on Thursday, June 14. The senior VP said all the utilities were there or in progress and added the plant building itself had already been constructed. “The office building, the truck shop and the maintenance building are under construction and will be completed by the middle of September. Our plant is enclosed. In fact, our in-house crews will be moving in within two weeks to install the equipment. We are shipping equipment down there at the rate of two loads per week and we are very pleased with the quality of work we have been provided,” Hudlow said. While he stressed he was responsible for construction, Hudlow said hiring for the soon-to-be completed facility was the responsibility of his colleague Tom Molini. “My understanding is he has been working with (Prosperity Bank and Grapeland Economic Development Corporation’s) Brandon Bridges. They are supposed to have a job fair within the next month or so to start hiring people so they can do some training in our other facilities,” Hudlow said. The employment opportunities available at the Darling plant will include: maintenance personnel; electrical technicians; drivers; production personnel and several other positions. Initially, Hudlow said the plant will be looking to hire 50 people and then will expand to 65. The VP, who was on the road, said he would provide more information about the benefits package once he had a chance to confirm the availability dates and the options given to new hires. “I’ve been in this business since 1990 and it is a very good business to be associated with,” he concluded.